TypeScript supports all powerful features such as Classes, Interfaces, and Modules etc like many other programming languages. TypeScript is an open-source project, development and maintenance by Microsoft, so we can expect all future enhancement and adaptability to be done in systematic way. TypeScript can be used to manipulate the HTML DOM for adding or removing elements, Angular is based on same principal. TypeScript supports most of the features of ECMAScript (ES 6, 7) such as interface , class, Arrow functions etc. 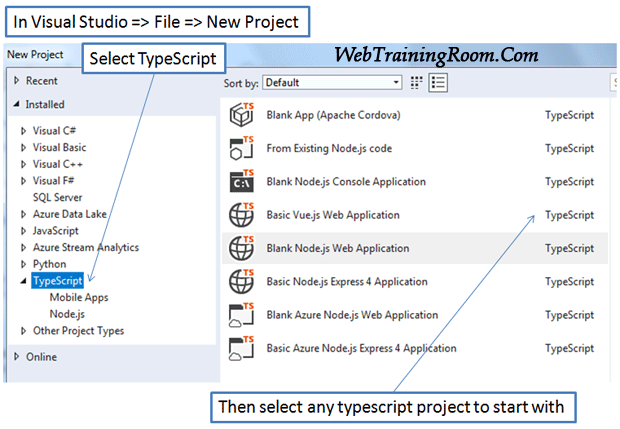 There are many edit for TypeScript, but as a Microsoft .net developer i would suggest visual studio code, if you are developing angular project using visual studio then you can create typescript file there, you don’t need any additional editor there are also few other popular editors like NetBeans, WebStrom etc.